with the legendary Healing Force. An acclaimed bass player and singer, Charlie Tumahai was one of the most talented and successful New Zealand musicians of the last 30 years. He was a prominent and respected member of the Maori community and of the New Zealand entertainment scene, and a stalwart of several of the top Australian progressive groups of the early 70s. Internationally, his best known work was as the bassist for Bill Nelson's acclaimed mid-70s techno-rock outfit Be Bop Deluxe, but in latter years he found further fame in his homeland as a member of The Herbs. Information on Charlie's early career in New Zealand and his arrival in Australia is hard to find, but we hope we can rectify that in the future. What is certain is that by the time he first appeared on the musical radar in Australia in 1970, he was already an accomplished singer and bassist. After leaving his previous band Multiple Balloon, Charlie replaced bassist Owen Booth in the noted Sydney band Aesop's Fables from mid-1970 until the band broke up in October that year. After the split, Charlie and legendary guitarist Les Stacpool (who had joined in April) made plans for a new band, but Charlie ended up joining Nova Express for a few weeks until he moved on to his next gig. His next group, Healing Force, formed shortly after the Aesop's Fables split, in October 1970. Alongside The Aztecs, Chain, King Harvest and Spectrum, Healing Force quickly became a major draw on the Melbourne `head' scene and they were regular performers at venues like the famed Thumpin' Tum. It was quite an 'all-star' affair, comprising former Twilights drummer Laurie Pryor, organist Mal Logan (Bakery), guitarist Lindsay Wells and bassist John Pugh (James Taylor Move, 18th Century Quartet). Pugh quit before they started gigging and Charlie took over, beginning an association with Mal Logan that lasted several years. Healing Force Mk I lasted only 12 months and cut just one single, but it was a classic -- Golden Miles, written by Wells and featuring Charlie's soaring lead vocals. As historian Ian Mcfarlane rightly says: "Golden Miles remains one of the best Australian singles of the 1970s". After its release Charlie, Lindsay and Laurie Pryor quit one by one to join the ever-changing lineups of Chain; Charlie played with them from July-November 1971. Meanwhile Golden Miles had hit the Top Ten in Melbourne and was Top 30 nationally, but by the end of November '71, the last version of the band had folded. Logan joined Carson; Wells and Pryor were playing in Ray Brown's One Ton Gypsy and Charlie had joined fellow Kiwi Leo De Castro in the acclaimed but short-lived Friends in December 1971. The early Friends lineup included guitarists Rob MacKenzie (guesting from MacKenzie Theory) and then Phil Manning (in between versions of Chain), who filled in until Billy Green and Ray Oliver joined in April 1972. This line-up recorded the fine single B-B-Boogie/Freedom Train (August 1972) for the ATA label. Raven included Freedom Train on the compilation Golden Miles: Australian Progressive Rock 19691974 (1994), and historian Ian McFarlane later named his definitive 90s progressive rock fanzine after it. Friends effectively picked up where Healing Force left off, and built up a strong following on the Melbourne pub/club circuit. In November 1972, Logan, Pugh and Pryor re-formed Healing Force, with Gus Fenwick (ex-Pleazers, Band of Talabene) on bass. By the beginning of 1973, Charlie had quit Friends to rejoin his old mates in Healing Force on vocals and percussion. They quickly regained their old following and appeared at the second Sunbury in January 1973, but by the end of April they had split again, this time for good. Their valedictory was the live track Erection issued on Mushroom's inaugural triple album set The Great Australian Rock Festival Sunbury 1973. After Healing Force Mk II, Charlie briefly joined Alta Mira which again included Mal Logan on keyboards, with Tony Lunt on drums, Tim Piper on guitar and Charlie on bass and vocals. They played "tight, funky hard rock and blues in the vein of Harvey Mandel and Johnny Winter", but were also shortlived, lasting only from May to October 1973. A live version of the Sugarcane Harris/Harvey Mandel song My Soul's on Fire from the Mushroom album Garrison the Final Blow Unit 1 (1973) is their only extant recording. Shortly after Alta Mira broke up, Charlie joined Mississippi as bass player. Mississippi had evolved from the Adelaide band Alison Gros, which included singer-songwriter Graham Gobles. They had a rather odd career: working under the pseudonym Drummond they made a series of 'chipmunk'-style singles for Fable, including a puerile cover of Daddy Cool, which was a surprise #1 hit, knocking Daddy Cool's own huge debut hit Eagle Rock off the top spot. The Drummond single went on to be one of the biggest sellers of 1971. Renamed as Mississippi, they had considerable success with their excellent 1972 debut album and scored a hit wit their single Kings of the World. Former Zoot bassist Beeb Birtles joined (as a guitarist) just as the album was released, and they worked solidly in pubs, clubs and discos all over the country, but never managed to achieve the further success they deserved. There were several lineup changes during 1973, and after they supported The Jackson 5 on their October national tour bassist Colin Deluca left the band. He was briefly replaced by bassist Andre Santos before Charlie joined in December 1973. Mississippi released two more fine singles, including the live favourite Will I? (b/w Where In The World) which was issued in early 1974, and made the Top 40 in May 1974, but they never got get the opportunity to record a second album. According to Beeb Birtles, they were very disillusioned and frustrated by the lack of support at home; encouraged by overseas interest in the album, they decided to try their luck elsewhere and planned a tour of the UK in April that year. As Beeb ruefully recalls, it was a complete disaster. The band were booked into "the worst disco gigs imagineable" and made no headway whatsoever. They split within a matter of months, virtually broke and greatly disheartened. Harvey James went back to Australia and joined Ariel; Goble, Birtles and Pellici eventually limped home. But they regrouped, bounced back and of course went on to massive success in the late 70s as The Little River Band. Meanwhile, Charlie had opted to stay in the UK, and at the end of 1974 he was recruited (after extensive auditions) for guitarist Bill Nelson's Be Bop Deluxe, which had just reformed as a three-piece. The new line-up recorded their second LP Futurama in 1975 with famed Queen producer Ray Thomas Baker. Keyboardist Andy Clarke joined in mid-1975 and with Nelson this time producing they recorded the ambitious Sunburst Finish album (Feb 1976) which yielded the charting single Ships in the Night. Despite considerable promotion the album apparently didn't bring them the success many had predicted and the same fate befell its follow-up Modern Music (Sept. '76). In 1976-77 Charlie and the group struck a major problem -- Charlie's work visa had expired in 1975 and he was ordered to leave by British immigration authorities just before the start of their headlining UK tour in early 1976. They appealed against the order, but Charlie was obliged to leave the country after the tour ended. He also had to get special permission to return for the group's London Hammersmith Odeon dates later that year, which had been postponed because of Charlie's predicament, which also forced the group to record their next studio LP in France. Charlie's appeal against his deportation was finally resolved in his favour in mid-1977 and he returned to the UK around the time that their live album was released in mid-1977. 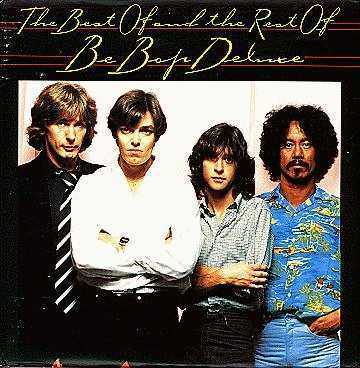 Be Bop Deluxe had a solid following in the UK; they were one of the few acts who bridged the gaps between '70s progressive rock, electronic/avant-garde music and the emerging "New Wave" style. In the process, they laid much of the groundwork for groups like Ultravox and Human League. Be Bop Deluxe (and Nelson himself) had (and still have) have a large and loyal cult following around the world, but they never managed to gain major commericial success outside Britain. They released two more albums; the superb in-concert collection recorded on the 1976 UK tour Live in the Air Age (July 1977) was a UK Top Ten album; their last LP, the highly-regarded Drastic Plastic came out Feb. 1978. Nelson split the band soon after, formed a shortlived new outfit called Red Noise and then embarked on a solo career. After Be Bop Deluxe Charlie played with the delighfully-named Tandoori Cassette, a band he formed with ex-Jethro Tull drummer Barriemore Barlow and ex-Sensational Alex Harvey Band guitarist Zal Cleminson. They recorded one single called Angel Talk in 1981. He then hooked up with singer-guitarist Miller Anderson (ex-Keef Hartley Band, T. Rex) in The Dukes, with Ronnie Leahy and Jimmy McCulloch (ex-Wings). Their self-titled album (Warner Brothers K 56710) from 1979 also featured drummer Barry DeSouza and percussionist Morris Pert. Charlie returned to NZ in 1985. 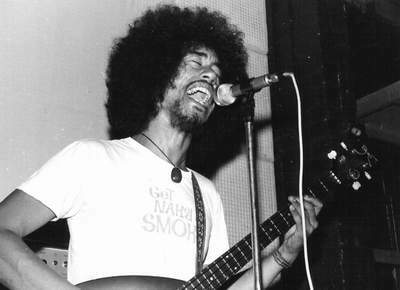 Joining his cousin, singer Dilworth Haraka, he became lead singer/bassist in The Herbs. The all-Maori reggae-rock group became one of the most popular and successful NZ bands of recent years, and they scored a huge trans-Tasman hit in 1986 (shared with Dave Dobbyn) with Dave's song Slice Of Heaven, from the soundtrack to the animated film Footrot Flats. The song which was recently voted one of the top ten New Zealand songs of all time. The Herbs continued through the early 90s as a favourite attraction in New Zealand. In 1994 Charlie and Dilworth added backing vocals to Shona Laing's self-titled LP (which also featured veteran muso and former Meteor Billy Kristian on bass). The same year Charlie made a cameo appearance as a karaoke singer in a pub scene in Lee Tamahori's controversial film ONCE WERE WARRIORS (which starred Temuera Morrison, the son of acclaimed NZ singer and bandleader Sir Howard Morrison.) Charlie was also reportedly working on plans for a new venture with his old mate, singer Leo De Castro, who had also returned to NZ, but sadly this never came to fruition. Charlie died suddenly in Auckland, New Zealand on December 21 1995, aged 46. He collapsed and died from a massive heart attack at the Auckland district court, where he was working as a member of a volunteer organization helping members of the Ngati Whatua tribe. It was a sad and premature end to a great career in music, and his death came as a huge shock to family and friends, because he had been in good health and practiced yoga. Charlie Tumahai is survived by his wife, Susan, and their two children, and is fondly remembered by fans around the world for his fine musicianship, his superb singing and his effervescent personality.